In December I spent some challenging hours recording Becoming Fran for a family member. I’d recently lost my voice, which tired easily, there were problems with a faulty cable and I discovered I can’t do accents. Scottish Morag sounded like she came from the Welsh valleys. I’m glad I did it and it’s been much appreciated but – never again! Definitely a job for professionals. Christmas and New Year brought festive visits from family and less festive seasonal viruses, followed by a January detox that lasted very nearly two weeks! Work got delayed and so January sees me still finishing yet another edit of a new edition of The Hatmaker’s Secret which is due out in March on my late mother’s birthday. Another couple of days should see that complete. At last the fog in my head has cleared from a winter lergy enough to remember that I attended an excellent day in Bristol at SilverWood Books at the end of October. The event was hosted by Helen Hart and the SilverWood team and held in a venue on the picturesque waterside. My room looked through autumn leaves onto boats busy on the water. 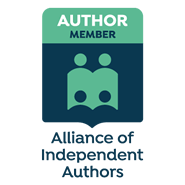 I pick out the ‘Elevator Pitch’ session as the most useful, run by publishing assistant, Rowena Ball and author Alison Morton. We all had to come up with a 30 second pitch to describe our novel. So beware being stuck in a lift with me! I now have 30 seconds worth on all my books – including forthcoming ones. No danger, I have only used one lift in a twenty mile radius in the last twenty years! But, in the pub, that’s another matter. Of course I forgot to take any pictures! Had a great weekend reunion in Bristol meeting up with friends – and Fran was there, although she was lurking in a dark corner where not many people saw her! But I did sell one copy! Here in Bristol for a reunion which celebrates 50 years (whaat?!) since I graduated in German! Looking forward to meeting old friends and having a thoroughly nostalgic time. I wonder if Fran will be there? If so who will she come with? Or will her memories of Bristol be too painful? Had a brilliant evening at the South Hams Writers’ annual dinner at California Cross, judging their novel competition – eating delicious food in excellent and talented company! Here I am with Alison Hunt, who won the cup for first prize with the second volume of her ‘Seekers’ trilogy for Young Adult readers. Annette Shaw of Devon Life organised an excellent gathering of authors and readers at Stoke Lodge Hotel, Stoke Fleming on 23rd April. It was such a relaxed and friendly occasion and everyone spent the day networking and chatting nineteen to the dozen. The best-selling novelist, Lesley Pearse, was the guest speaker and gave a very entertaining talk. The hotel looked after us brilliantly with a delicious lunch, and even the weather was on best form – so drinks – and photographs – were taken on the terrace with a stunning view across Start Bay. 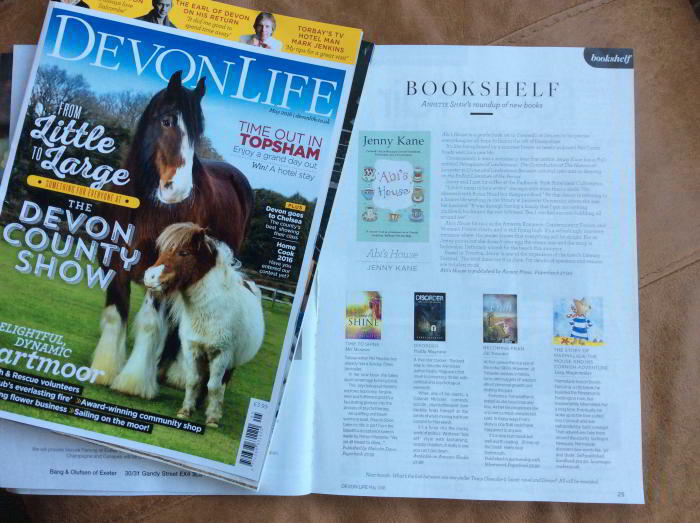 I was thrilled that Annette Shaw asked for a copy of Becoming Fran and reviewed it in the May edition of Devon Life. In the middle of May I allowed myself a Writing Retreat – which is code for indulgent writer’s treat. This particular five days took place at Bosloe House, a National Trust property in Cornwall, organised by Jane Moss and Kath Morgan of The Writing Retreat. There was a wow factor to every aspect of this week, from the not-bad view from my room, to the helpful one-to-ones with tutors, the company of a cross-section of gifted writers and inspiring warm-up sessions. Plus there was a visit from renowned novelist, Patrick Gale, who was hugely entertaining, and generous with tips, advice and useful discussion. And I haven’t even mentioned the food! So much fun and laughter – and I even got a lot of new writing done! This really was the view from my (palatial) room! Rowena Marshall of Dartmouth Library invited me to give a talk on 5th April about Becoming Fran – with Dartmouth Community Bookshop in attendance. A lively group gathered to hear how this third novel, set in the 50s, 60s and 70s, evolved. There was much discussion about how the invention of email and the iPhone impacts on plot, creating problems for the novelist. Sometimes it is important that your characters can’t get hold of each other. The plot of Becoming Fran, as it stands, would not have worked if the characters had been in constant touch regardless of time and place, as people are today. I also warned writers of the potential – and expensive – pitfalls involved in quoting song lyrics. The message is that, if you want to quote, choose an author who is long dead! It was standing room only for the launch of ‘Becoming Fran’ in the village pub on Monday evening. In spite of storm Imogen, about forty people – and two spaniels – gathered to the 60s sound of Mr Tambourine Man and other Bob Dylan tracks that were favourites of Fran in her student days in Bristol. A lively question and answer session followed some brief readings, and discussion continued over refreshments. Meanwhile, I was only too delighted to be kept busy signing books until we had to send an SOS for sandwiches. New novel: ‘Becoming Fran’ has arrived! Great excitement as my copies of the new novel ‘Becoming Fran‘ arrived today! Just had to take a photo as soon as I tore open the box. It seems they have a beginning and an end and all the right bits in between – so that’s okay. Available to preorder now, as a giveaway on Goodreads and out on Monday week – 8th February 2016. Exciting news! The publication date for ‘Becoming Fran’ by Jill Treseder is February 8th 2016. So look out on the SilverWood Books website and Amazon, or best of all, support your local bookshop and order from them. It will be on sale in Dartmouth Community Bookshop for sure.